NAMPA, Idaho — David Holsten and his family spent much of their life serving communities in Indonesia, but now they're beginning a new chapter in a very different environment — Nampa, Idaho. 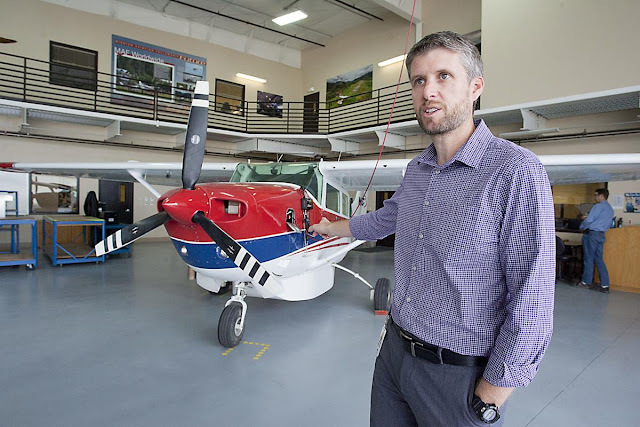 Holsten was recently named president and CEO of Mission Aviation Fellowship, a Christian nonprofit based in Nampa that flies resources to isolated parts of the world. Since its founding in 1945, the fellowship has worked in more than 30 countries and delivered nearly 7 million pounds of cargo. The organization, known as MAF, has about 180 people on staff, over 100 of whom are pilots, Holsten estimates. Holsten used to be one of those pilots, working in Indonesia for about 17 years until earlier this year when he and his family moved back to the U.S. after he was promoted. Holsten and his family moved to Indonesia in 2001. They spent the first eight months learning the language and settling into their new life before he took to the skies. The difference in his family's life in Indonesia from how they were previously living in Georgia was huge. He said most Indonesian households do not have a refrigerator or air conditioning, though he installed both through personal expenses. Electricity consistently went out, he said, and they typically got their food through trips to the local market, rather than a trip to Walmart. More specific needs often required a flight, as Indonesia is made up of more than 17,000 islands. "You can't just get on I-84," Holsten said. The people were also very kind, Holsten said, as Indonesian culture prioritizes community relationships. However, their first few months in the country were somewhat tense, because they moved right before 9/11. Indonesia being a largely Muslim country, Holsten said many people had a lot of compassion and some degree of sadness out of concern that they and others in their faith were going to be labeled as terrorists. 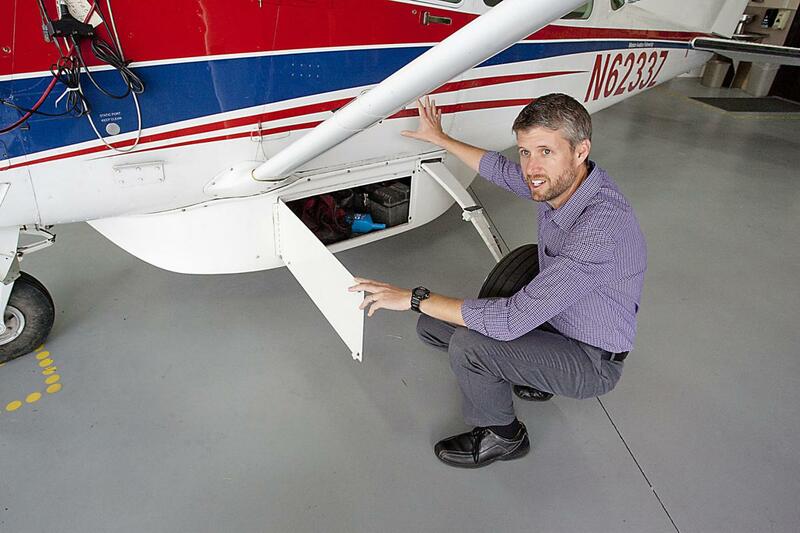 Holsten began flying as a pilot for the fellowship a few months after moving to Indonesia. 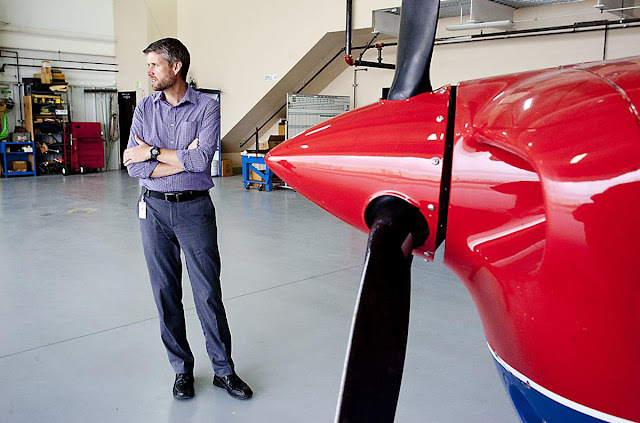 In the 17 years he lived there, Holsten served in several positions, including chief pilot, program manager and eventually regional director for Indonesia, overseeing more than 50 percent of MAF's overall operations. As a pilot, Holsten said he typically began his days at 4:30 a.m. and was flying by about 5:30 a.m. Most workdays saw Holsten in the air five to six hours, flying back and forth to transport supplies such as vaccines, translated Bibles and often passengers. Traveling from the city where he lived — populated by about 200,000 people living in tight quarters — to the communities he served — which typically had fewer than 500 people and were surrounded by miles of untouched forests — was like straddling two different worlds, Holsten said. "I would fly an hour, and it's like I traveled back in time 100 years," he said. Although Holsten said he always wanted to be a pilot, he didn't have any driving ambition to become the organization's CEO. Last year, an MAF official approached Holsten about taking on the role, and he said he and his family spent a lot of time praying about it. Holsten and his wife, Natalie, have four children ages 13 to 21, some of whom were born in Indonesia, and moving back to the U.S. would mean another huge transition. Ultimately, Holsten decided to go through with the application process, and after several weeks, he was offered the position with unanimous board approval. Brock Larson, who took over Holsten's previous position after he was promoted, said he was not surprised Holsten got the job. "You can't say enough good things about him," said Larson, who joined MAF after a 22-year Air Force career. Larson first met Holsten in 2014 through a Skype call, and said his first impression of the man is that he seemed very selfless. Later on, Larson met Holsten in person in Nampa, when Holsten took time to sit down with him despite Larson not being on his official staff yet. Larson said Holsten had just flown into the Nampa headquarters — a 45-hour trip — for other business. But he saw Larson and knew he was heading to Indonesia, and took him aside to make sure everything was good with him, even though he was visibly exhausted from the trip, Larson said. Holsten ended up being Larson's flying instructor when he arrived in Indonesia, and several months later, Holsten asked him to take over the regional director position. He trained Larson for about seven months, which Larson said defined most of their relationship. Gene Jordan, MAF's vice president of personnel, was also not surprised at Holsten's selection. Jordan has been with the fellowship since 1977, serving for over 20 years in Ecuador, and knows Holsten as a good pilot and communicator who is wise for his age, he said. After living in Indonesia for almost two decades, moving to Nampa was another big change for Holsten and his family. He said Indonesia measures its annual rainfall in feet, usually getting 15 to 20 feet a year — a drastic change from Nampa's dry weather. Holsten's children were also used to walking around barefoot, and he said in their new house, he reminds them to wear shoes outside because of the goatheads. 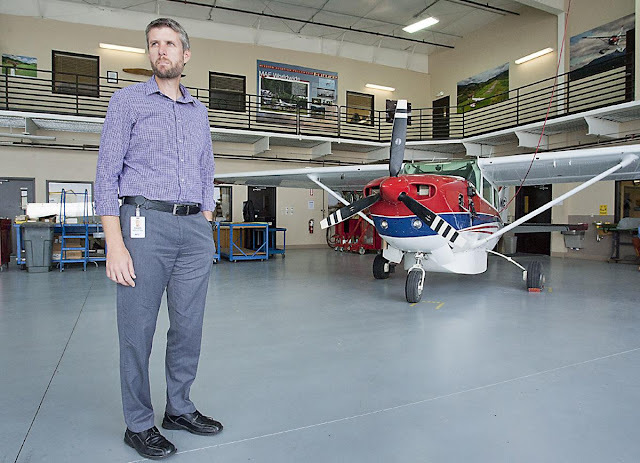 As the new head of MAF, Holsten said he hopes to spread the word about the fellowship and its mission to build its employee base. He said his primary responsibility as CEO is to make sure the organization has financial support, and he plans to do so by forming closer partnerships with other organizations. "The more people who know about us, the better," Holsten said. Holsten fills the shoes of former MAF President and CEO John Boyd, who led the organization for 10 years before retiring.